All earthworm records submitted to the ESB are submitted to a verification protocol that allows ESB verifiers to determine if a record can be accepted into the ESB database. This verification protocol is important to prevent potentially unreliable or erroneous data entering ESB datasets. Unconfirmed – the record/dataset has not yet been subjected to the verification protocol and is awaiting review by a verifier, or the verifier is awaiting further information from the recorder. Accepted – the verifier has determined that the record/dataset can be considered trustworthy and is added to the relevant ESB dataset. Not accepted – the verifier was unable to determine that the record/dataset can be considered trustworthy; it is therefore rejected and not added to any ESB dataset. Recorder experience level – such as attendance of earthworm identification training courses (i.e. ESB earthworm recorders) or previous demonstrated experience in earthworm identification (i.e. trusted non-ESB earthworm recorder). Verifiers consist of ESB tutors or earthworm experts (such as earthworm taxonomists). Species determination methods – such as the observation of a preserved specimen’s external features, use of a microscope/hand lens and observation of colour of live specimen. Identification resource used – records are only accepted when determined from an ESB-approved identification resource, such as Sims & Gerard (1999), Sherlock (2012) and the online Earthworm Multi-Access Key. Species determinations reached using the OPAL earthworm key (and the iSpot key derived from it) will not be accepted. Suspected errors – such as the presence of a species outside of its known range or habitat and discrepancies in the geographical or temporal data. Species rarity – ‘Rare’ and ‘Very Rare’ earthworm species determinations may require the checking of a voucher specimen or suitable photo by an ESB tutor or earthworm expert. The verifier may require further information from the recorder in order to make their assessment or may determine that a voucher specimen or suitable photo is required in order to accept the record. Following this assessment, a verification status is applied to the record to determine if the record can be accepted (see table below). Only records that are assessed as Correct and Considered correct are Accepted and added to the ESB database. Verifier is able to confirm that the species has been identified correctly, usually on the basis of a voucher specimen or, in some cases, a photo of the distinguishing characteristics. Verifier has not seen a specimen or a photo that can be used to confirm the identification but has a high degree of confidence that the record is likely to be correct, based on difficulty of ID, the ID resources used (e.g. an accepted identification key and observation of characteristics of specimen using a microscope) and recorder's level of experience and skill. Verifier is able to confirm that the species has been identified incorrectly, usually on the basis of a voucher specimen or, in some cases, a photo of the distinguishing characteristics. Verifier has a high degree of confidence that the record is likely to be incorrect based on information provided by recorder (such as photos, identifications resources used and a lack of recorder experience and skill). All species determinations reached using the OPAL Earthworm Key should be classed as 'Unable to verify', unless a verifier can determine the species themselves from a photo or voucher specimen. Verification term status used in iRecord as an alternative to 'Unable to verify' for all unconfirmed identifications and any confirmed juvenile records (i.e. there is not enough supporting evidence for the possibility of mis-identification to be ruled out). This term allows unconfirmed records from inexperienced recorders to be dealt with, without putting the recorder off by giving an outright rejection. How can I get my record verified by a tutor or an expert? Please submit your record as per the usual submission pathways and the ESB will get in touch. Please note that a tutor or expert may need to inspect the voucher specimen so it’s always useful to retain the preserved specimen for any determinations that you believe may require verification. 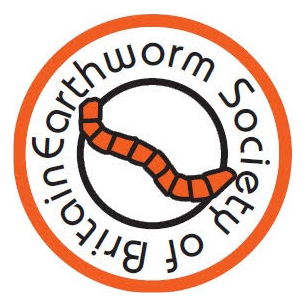 If you have any questions relating to the identification of British or Irish earthworms, please contact the Earthworm Society of Britain at ESBenquiries@gmail.com.